My name is Jonathan and I have been vicar at St. Clement’s since July 1997. I am married to Jane and we have two adult sons, Tim and Stephen. We like to get involved in the local community with Football, Table Tennis, Theatre and Pre-School, as well as the church. I was born in Waterlooville, Hampshire and spent my childhood moving around Southern England as my father was in the Royal Navy. I was baptised and brought up as a Christian and at 16 I felt called to be a vicar. I studied languages and taught English for several years in the U.K., Europe and Africa, before starting my training with the Church of England in Oxford. It was during this time I met and later married Jane. I was ordained at Salisbury Cathedral in 1986 and served four years as a curate at St. Mary’s, Ferndown. We then moved to an English-speaking church in Chantilly, France for 7 years before coming to St. Clement’s. It is delightful to serve in an area with a strong Christian heritage and a real sense of local history, and alongside a team of fellow Christians who believe that Jesus makes a difference for good for individuals and communities, through people who follow Him and live His way, and share His message. Anyone can join, faith really is an adventure! My name is Mo Willis and I am one of the Associate Priests in the Parish. I am married to Ted and we have three children now all grown up and living away. We also have two lovely granddaughters, who are a real joy to Ted and myself. From the age of 15 years I have had a faith in God, which has sustained and kept me throughout my life. God has, for as long as I can remember, played an important part in my life. I trained as a Nurse and then a midwife, a career I followed until I retired in 2011. I worked with Baptist Missionary Society in Bangladesh running a midwifery department. Then on returning to UK I worked in the Purbecks as a nurse/midwife. After my marriage I worked on the Chalwyn estate as an Occupational nurse, before becoming a coordinator for PRAMA in Poole. I became aware of God calling me to Ministry in the Church of England and I was accepted and trained as a Reader/LLM. As I spent time studying, I began to hear God calling me to ordained ministry. I had the privilege of studying at Sarum College in Salisbury, meeting many interesting people from the Methodist and Anglican tradition, as we studied and journeyed together on the road to ordination. I was ordained Deacon in June 2015 and ordained Priest in June 2016. I am enjoying being part of the Parish and meeting lots of new people. 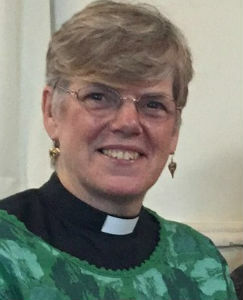 My name is Lynn Bowerman and I am an Associate Priest here at St Clement's Church. I moved to Poole over 30 years ago to work as a Teacher in local primary and middle schools. I also volunteered as a school governor while my children were of school age. I have been part of this church community for almost 20 years, and it was on a parish Pilgrimage to the Holy Land in 2009 that God "called" me to ordination. St Clement's congregations encouraged me to pursue that calling, and have been a source of both support and encouragement throughout my theological training. I am delighted to be able to continue here for the foreseeable future, serving the spiritual needs of this prayerful and loving community. I first came to a service in St Clement’s Church on what happened to be Rev Michael Boulter’s first Sunday after he had been made Vicar of our parish in 1966, and I have been a member of this church ever since. Now retired, for most of my working career I was employed by Wessex Water as a water treatment scientist based in Poole. I was invited to train as a Reader in the parish and was licensed by the Bishop of Salisbury in this role in 1988. 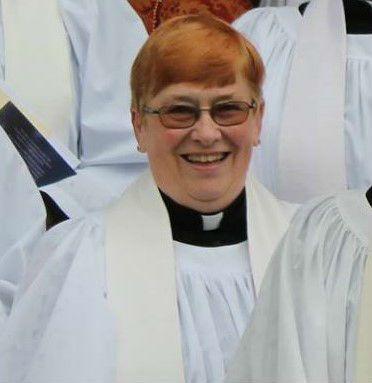 In 2007 Salisbury Diocese reviewed the work and title of Reader, and all Readers in the Diocese were re-licensed by the Bishop as Lay Ministers – I retired from this role on my 70th birthday but the Bishop has granted me 'Permission to Officiate' as a Lay Minister. This enables me to continue preaching and leading services as and when requested by Jonathan. Angela and I are keen supporters of the House of Grace in Romania (see "Home & Overseas Mission") and I am a member of Gideons UK. Rev. Brian Rogers BA: now retired, assisting in the preaching and services. Brian began work as an apprentice carpenter and joiner, moved into Lecturing in Building, then to St. John’s Theological College, Nottingham. Two curacies followed in London and the North East near Gateshead. Then, while continuing to assist in the Parish, he qualified and taught in Junior schools in the area. 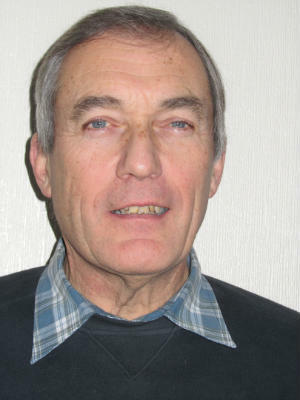 Moving to the Midlands to a preparatory school to teach, he continued to work in the Parish of Abbotts Bromley in Staffordshire until he retired to Poole. That’s me on the left. I am married to Chris, we have two children, three grandchildren and two great-grandchildren. Chris and I both grew up at the Alderney end of the Parish, worshipping first at St. Barnabas and later moving to St. Clement’s. We have had the privilege of serving in a number of roles at both churches through the years. I preach occasionally at Jonathan’s invitation, Chris co-ordinates our church's weekly collections for Poole Food Bank, and together we lead Sunday services at two local care homes on a monthly basis. In my professional life I was an Associate Director of an Engineering Design Consultancy, but I am now retired. In leisure moments I enjoy listening to music, particularly when played on the guitar. I'm Mike Oates, an ordained minister, counsellor, chaplain at St. Ann's Hospital and occasional preacher at St. Clement's. I trained for the ministry at St. John's College, Durham, and have worked in parishes in North London and Poole. I am married to Julie and we have three children, Sam, Lucy and Ellie. I support Wolves, am passionate about my logburner , wild places, birdwatching, art , play the guitar and am chair of Poole Poetry Group.